A few years ago I suggested you offer your friends a Cuisinart spice mill as a gift because it was the most-used appliance in my kitchen. I absolutely loved that little mill. Sadly, however, the Cuisinart people “upgraded” the old mill, and although it comes with a lot of fancy extras, I pretty much hate the replacement. It’s hard to clean and it doesn’t do a very good job on hard spices, so I’ve been looking for a new spice mill. Meanwhile, I’ve been relying on a Krups coffee grinder to grind my spices: I think this is one of the great bargains in kitchen appliances. It works well, it lasts years, and it costs less than twenty bucks. 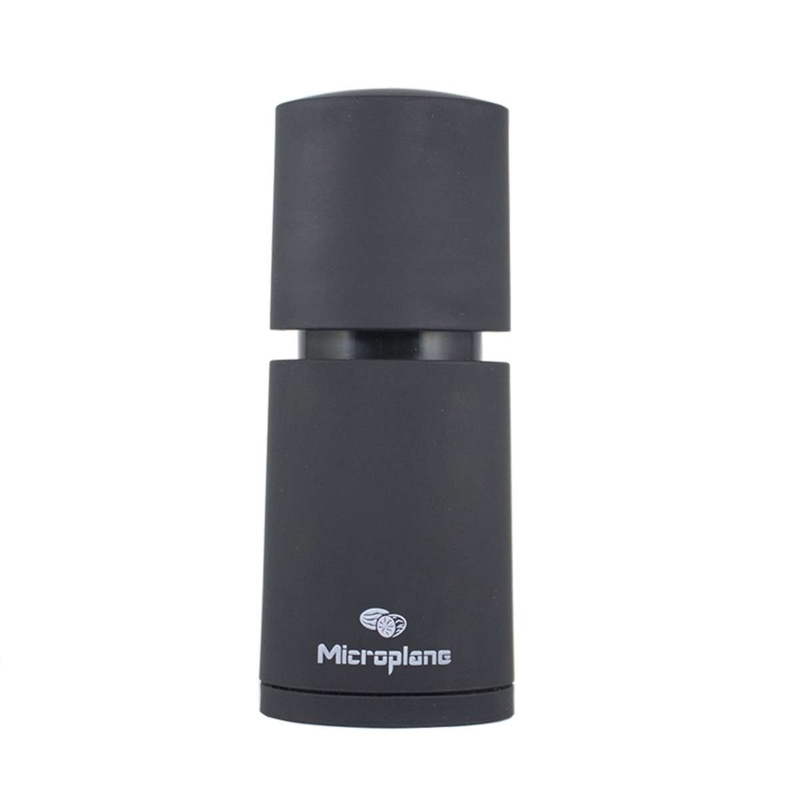 But the Microplane people have now come out with this Microplane Spice Mill – and it’s definitely a keeper. It works best on really hard spices like nutmeg, cinnamon, star anise and annato seeds – but it’s a modest little thing that takes up very little space on your kitchen counter. Offer one to your friends, and they’ll thank you all through the holidays as they make mulled wine, nutmeg-dusted eggnog and cinnamon-topped cocoa. Incidentally, although you can buy the mill from Amazon, I’m linking to JB Prince. If you don’t know about this fantastic resource for chefs, you’re in for a wonderful time navigating around the website. Oooo I want one! What a great idea.